(week 7) plan without any fitness attribute emphasis. •Chassis Integrity, TAC SEPA Stamina, Strength and Work Capacity are training in equal proportions across the training plan. Jaguar deploys our most recent programming theory for Fire/Rescue Athletes. Jaguar is a 6 week, 4 session/week (24 Total Training Sessions) + and Unload Week (Week 7) plan without any fitness attribute emphasis. Chassis Integrity, TAC SEPA Stamina, Strength and Work Capacity are training in equal proportions across the training plan. Strength in Jaguar centers on three exercises (front squat, walking lunge, push press) and deploys our Big 24 model of progression. Chassis Integrity deploys “hybrid” circuits which combine lower back, total, rotation and anti-rotation exercises. Work Capacity- 3 modes … Sandbag getups, 150m Shuttle Sprints (6x 25m lengths) and the Sandbag Clean and Step Over exercise from our Fire/Rescue Fitness Assessment. TAC SEPA – Box Jump Complex, Stacked Box Agility Drill and Duck Walk/Sprint combos. Ideally, you’ll complete 4 of these sessions per week. Obviously this is dependent on your unit’s duty schedule. I just completed Jaguar, the first plan in the Big Cat series. Just wanted to share my results with you and anyone who might be interested in purchasing the packet. I was training six days a week on this program. Mon, Wed, Fri, Sat was the Jaguar plan. Tuesdays and Thursdays I had group PT with 5 other officers I work with. Tuesdays were track days, 400m and 800m repeats. Thursdays were some type of upper body, bodyweight circuit. 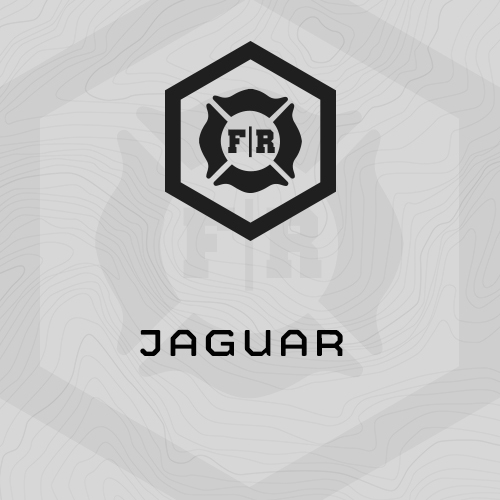 The additional PT did not generally interfere with the Jaguar programming, however, that will probably vary with each athlete depending on fitness level. There were a couple days I felt beat up, but overall it wasn't a problem. Might have been able to see a bigger increase in my 3RM Push Press without the extra upper body work, but a 5lb PR is still a PR. I'll take it. I think you've mentioned this in your videos a couple times, but that transition from 60lb sandbag get-ups to 80lbs was a b**ch. The 60lb isn't too bad, but for some reason the 80 just feels like a small elephant sitting on your shoulders haha. There is definitely a hardening effect from this training. Throwing sandbags and doing farmers carries just naturally has that effect. My mid-section feels like a brick wall. It's great. I will likely take a de-load week, then start up Leopard. Thanks for all the great stuff Rob!